We are a bacon loving family! Who isn’t? And with the holidays coming up, we’ll be thinking of lots of appetizers to serve guests. 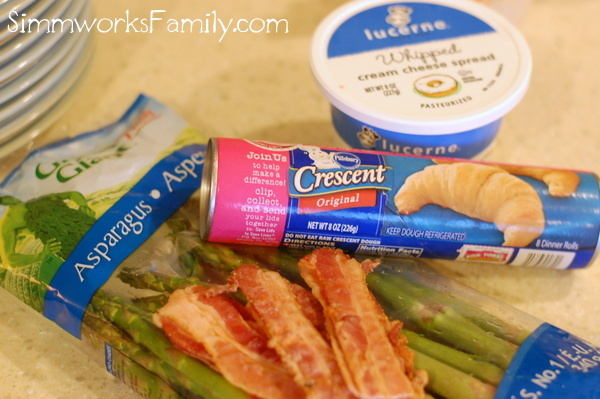 So why not combine a few favorites with this awesome bacon wrapped asparagus roll? It’s simple, only 4 ingredients, and easy to make! 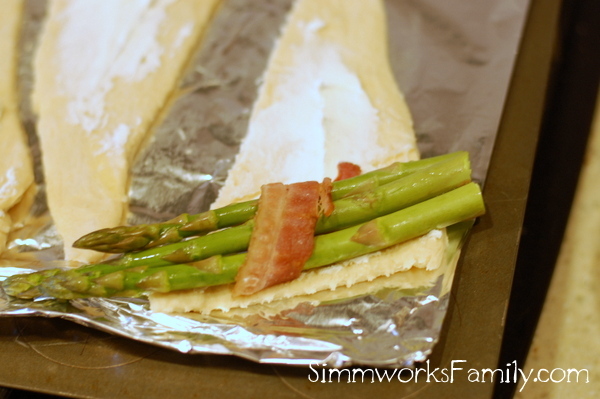 Plus the combination of the cream cheese and bacon inside with the asparagus is to die for. And how can you go wrong with buttery crescent rolls! 2. 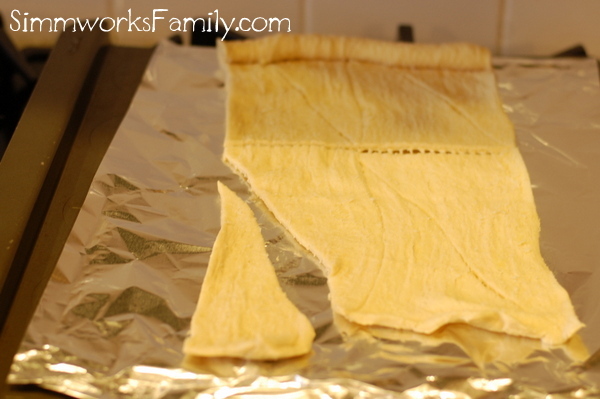 Open can of crescent dough and spread out onto a foil-lined baking sheet. 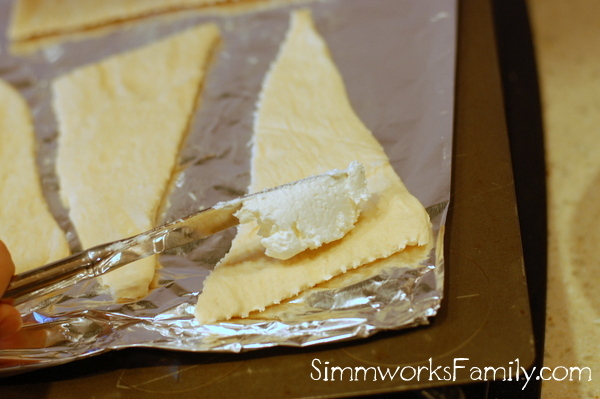 Separate dough into 8 triangles. 3. 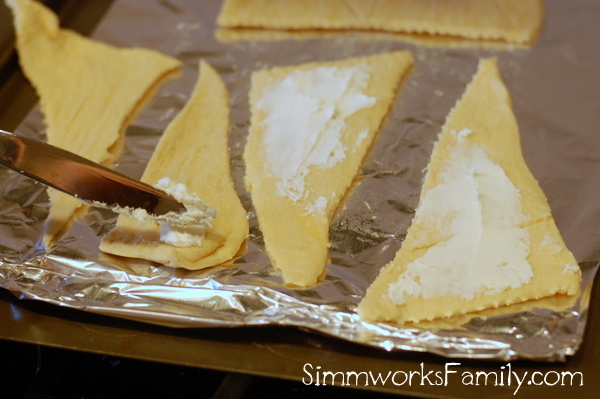 Spread a thin layer of cream cheese on each triangle. 4. 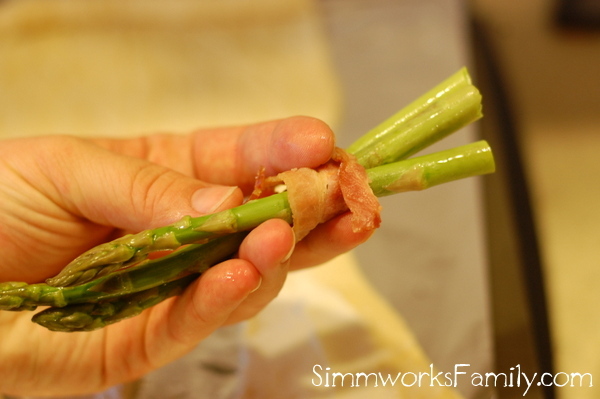 Take 3 pieces of trimmed asparagus and wrap with one piece of bacon. 5. 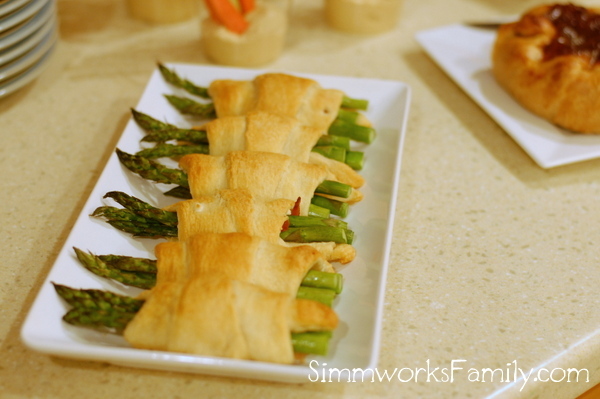 Place wrapped asparagus on the crescent dough and roll up. 6. 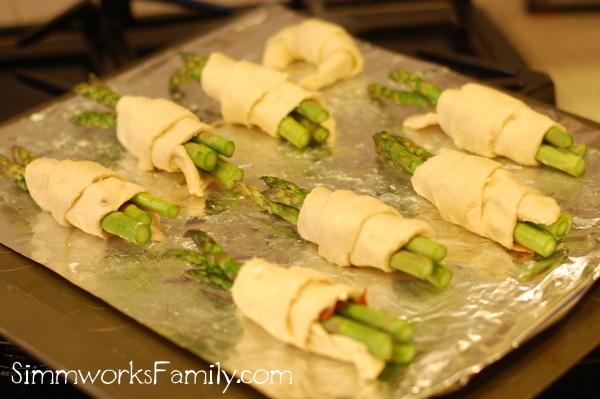 Repeat with the rest of the asparagus and crescent dough. 7. Bake in the oven for 20-25 minutes or until dough is golden brown. I love eating and cooking asparagus. Now I need to make this one night as a side dish. Looks great, anything with bacon added to it is just fine by me. These look delicious! I will have to figure out how to do this with homemade dough. 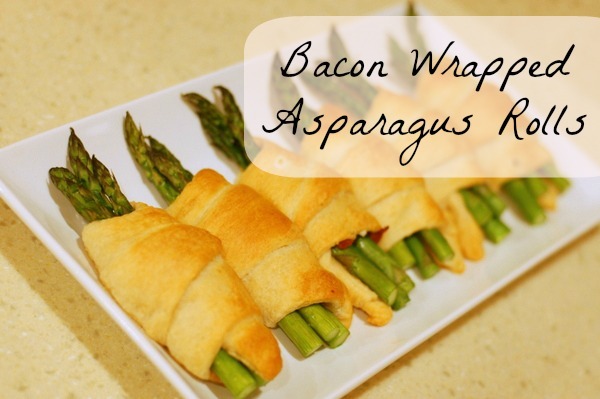 Anything wrapped in bacon is delicious! I absolutely adore the taste of good fresh asparagus! And BACON… enough said! I’m pinning this to make it with Thanksgiving dinner!! Woot!